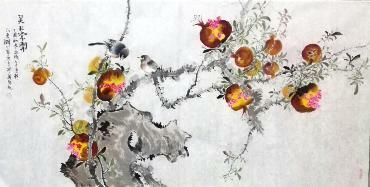 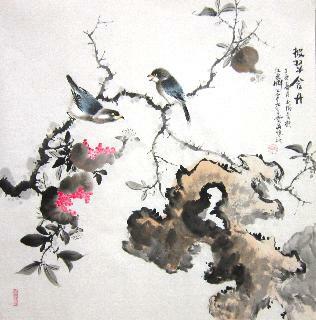 Pomegranate is regarded as the auspicious fruit in China. 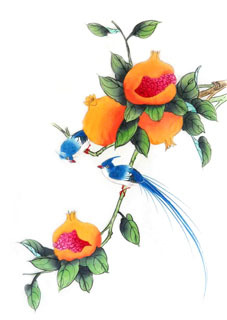 Because of its bright color and numerous plump seeds, it is an emblem of posterity, prosperity, solidarity, and luck. 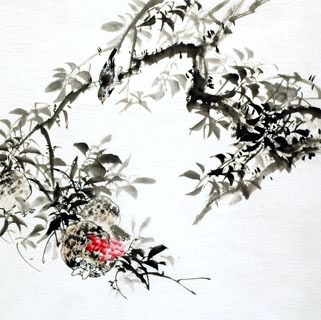 In folk, when take a wife or marry a man, people often place a pomegranate which burst open, revealing the numerous seeds on the desk or other place in bridal chamber. 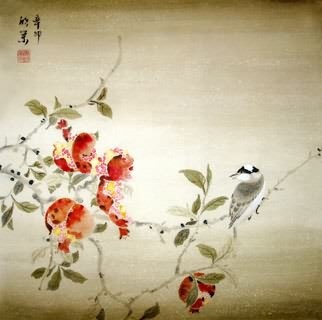 People also giff-gaff the pomegranate for blessing. 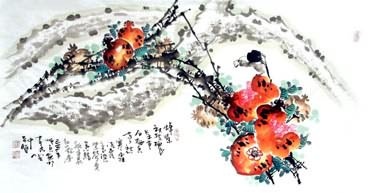 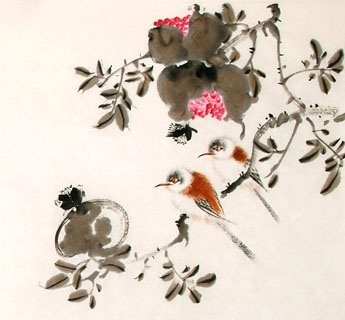 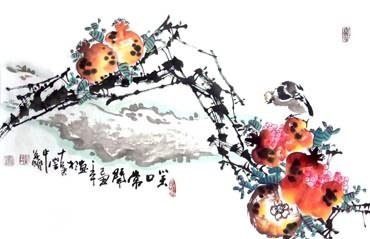 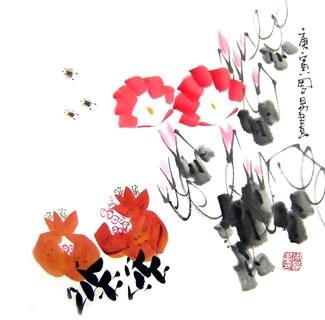 Chinese Pomegranate Fengshui Painting: The common auspicious pattern picture about pomegranate is: a burst-open fruitful pomegranate with branches and leaves. 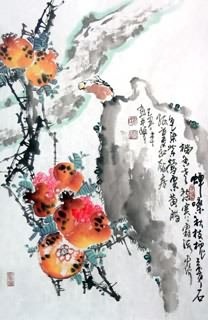 It is symbolize the hope of the family for numerous offspring behaving in a virtuous and filial manner and rising to fame and glory. 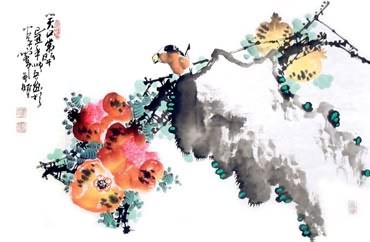 Chinese Citron, Peach & Pomegranate Feng Shui Painting: Another lucky design is compose of fingered citron, peach, and pomegranate. 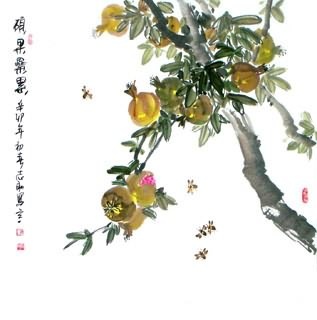 The fingered citron represents good fortune. 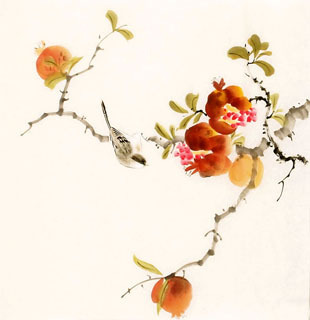 The peach stands for longevity. 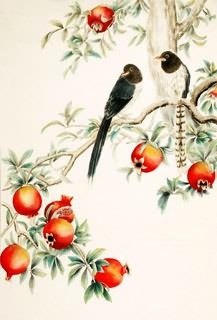 And the pomegranate symbolizes numerous offspring. 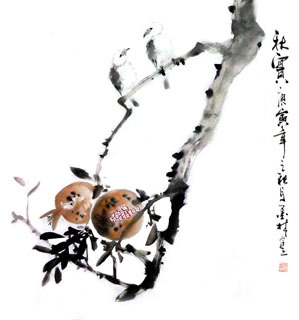 InkDance Price: USD 404 /GBP 332 /EUR 384 Sold, you can customize it.